It’s 2008. Happy New Year! 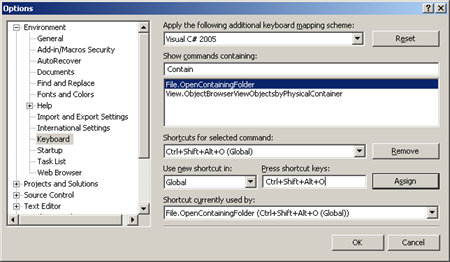 I can’t believe I didn’t know about this Visual Studio command before: File.OpenContainingFolder. Asmita A Wankhede mentioned it, but he left a few important details out. 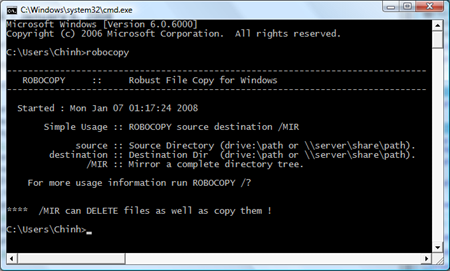 By default, this command does not have a shortcut, so you would have to assign one to it (try CTRL+SHIFT+ALT+O). Also, the "item" that this command works on is the currently opened item in the editor, not the selected item in the Solution Explorer. 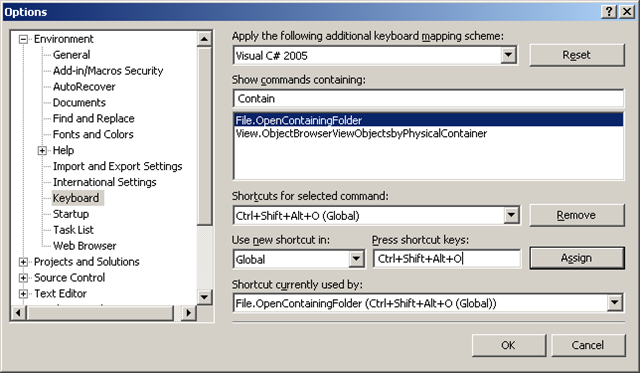 See my Visual Studio tips article for instructions on how to create new shortcuts (section 3 – Make New Shortcuts). Aaron Lerch shared a tip on how to use Powershell to perform search-and-replace on an entire folder hierarchy. Derik Whittaker’s article on Things to think about if you want to be a consultant lists some questions to ask and things to be aware of if you are thinking about becoming a consultant or contractor. I need to start using Log4Net soon at work and Emanuele Bartolesi’s walk-through on how to use Log4net in your ASP.net application will come in handy. Dare Obasanjo asked a thought-provoking question: Does C# 3.0 Beat Dynamic Languages at their Own Game? Aaronontheweb made 8 Bold Predictions for Web 2.0 in 2008. One of the predictions is that Google will have its first failure in 2008. I thought Google Answers was it. If you are learning WCF, check out Michele Bustamante’s That Indigo Girl. Via Is This Thing On. If you have done or are planning to do automated GUI testing, check out Automated GUI testing – Is it worth it? by Mladen Prajdić. Bruce Eckel wrote about the The Mythical 5% of top developers and shared tips on how you can be part of that exclusive club. For Oracle developers, ODAC 11g has been released. Via Mark A Williams. If like me, you have heard about SubSonic but don’t know much about it, Kent Sharkey’s Introduction to SubSonic (Dotnetslackers) provides a quick primer. Did you know that something called Robocopy (short for Robust File Copy, not Robot Copy), is the new XCOPY? 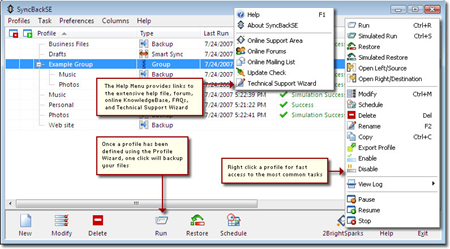 It’s a standard tool in Windows Vista and is also available as part of the Windows Resource Kit. Via Don Box’s Spoutlet on Pluralsight. I recently tried and liked GhostDoc very much. It’s a free Visual Studio add-in to help write XML documentation comments. Roland Weigelt wrote a nice intro article on GhostDoc on DotnetSlackers here. 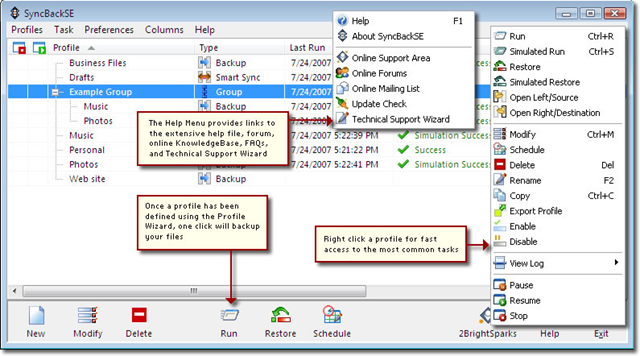 SyncBackSE is a great folder synchronization utility. It has tons of features… maybe even a little bit on the bloated side. It costs $30 for a single license. If you just want something simple, Microsoft’s free SyncToy may do the trick for you. From CES, it looks like Blu-ray will be the winner of the HD format war. No, the war is not completely over, but this was the landing at Normandy… so to speak. The loss is just too great for the HD-DVD camp to recover. Richmond’s Lunar New Year Festival is on Jan 27. Lol I had forgotten about Google Answers…. Yeah that was a bit of a failure from a business P.O.V. I’m thinking there’s going to be a much larger wide-scale failure. My money is on Google Knol or OpenSocial. Google Knol simply won’t be well-received by the WikiPedia community of editors and OpenSocial can’t seem to get anything started. Great post btw. I’m going to check out that GhostDoc add-on. Log4NET is another thing I’m going to have to look at. Have you checked out ELMAH at all for error logging? That’s a pretty handy tool that I use in my Facebook applications. Aaron: You’re right… Google Answers wasn’t that big in the larger scheme of things. I’ll be curious to see when the invincible Google will suffer its first major setback. Log4NET is cool. The documentation could be a little bit better organized. I have not heard of ELMAH but I’ll definitely check it out. Thanks and cheers. ELMAH is pretty sick; it’s one of the projects built into DotNetKicks. When I was playing around with the DNK source code I found out about it. Thank you for link my post!!! I found this in my random web surfing!! !